After 26 years together Karen Vaughan and her pony Flair have a fantastic bond with each other. 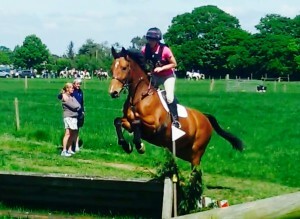 Now 28-years-old Flair is still ridden out twice a week and is jumped now and again as she enjoys it so much. Karen works at HJ Lea Oakes in Cheshire and was bought Flair for her 21st birthday present. 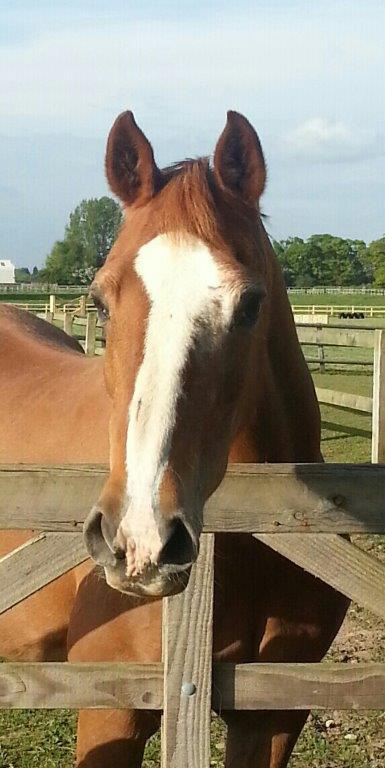 A big part of Karen’s life, Flair is a Welsh cross Arab and is fortunate to have always enjoyed good health. Flair has always been fed products from the Equerry range and in the summer had Cool Cubes and Mix, moving on to Veteran Mix and Conditioning Cubes in the winter. Says Karen: “Flair is fantastic for her age and the vets always say how well she looks. Jennifer Garland and her Large Riding Horse, Jemoon Tambourine Man have been in great form this season recently claiming the Riding Horse Championship at Muirmill near Kilmarnock. The nine-year-old bay gelding was bought from the Jemoon Stud five years ago and Jennifer and Norman, as he is known at home have formed a formidable partnership ever since. Said Jennifer: “Norman is on great form and looks fantastic. 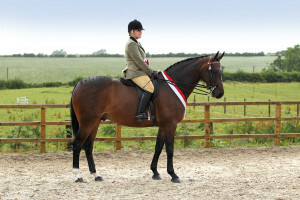 We have had lots of success together and he has qualified for the Royal International Horse Show every year. “This season we have also started to compete in Working Show Horse classes which he is really enjoying and his jumping is developing all the time. “He looks absolutely amazing and people always ask me what I feed as his coat is so shiny and he has great top line and condition. “The Equerry Conditioning Mash he is on makes a massive difference and he absolutely loves it. He really looks well on the feed and I really don’t think he would be happy if I fed him anything else. Working fulltime means Jennifer now rides as a hobby having previously ridden professionally. “I really enjoy competing Norman and we have built a great partnership and am looking forward to seeing how we do in the Working Show Horse classes as we progress,” added Jennifer. Feed Advice: Why feed a Mash? Traditionally, mashes were made from wheat-bran and were fed irregularly, often just once a week. It was mistakenly believed that this helped to prevent digestive upsets. In fact, the laxative effect of bran mashes may be a result of mild digestive upset, caused by the abrupt change in diet. Similarly, the long-held belief that bran mashes helped to warm a horse is untrue; far more body heat will be generated by the fermentation of forage in the hind-gut. The problem with feeding bran alone is compounded by the fact that bran is very low in calcium and essential amino acids such as lysine. Nowadays nutritionists rarely recommend feeding bran mashes – so what is the alternative? Thankfully, innovates, quick-soaking, nutritionally balanced mashes are available and are ideal when either hydration is an issue or when feeding succulent/wet feed is desirable e.g. when stabled on dry forage in winter. We know that forage alone will not provide a fully balanced diet and this can contribute to problems such as reduced immune function and poor hoof quality. Modern mashes like Equerry Conditioning Mash, have been formulated to provide your horse with optimal levels of all the essential vitamins and minerals and, when fed daily, will help to keep your horse in tip-top health this winter. In winter our horse’s diets tend to become much drier; preserved forages (i.e. hay/haylage) contain significantly less water compared to fresh grass. This combined with the fact that our horses can drink as much as 12% less water during chilly days can contribute to problems including reduced performance, increased risk of digestive upset and diminished appetite. A soaked mash will help to add water back into your horse’s diet and moreover they have been proven to help improve overall water intake, compared to feeding a dry concentrate feed. This becomes very important if your horse has to be confined to his stable, perhaps in atrocious weather. 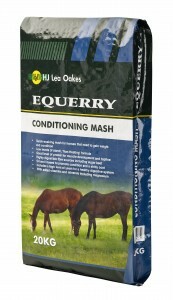 Fussy feeders find conditioning mashes like Equerry Conditioning Mash simply irresistible! Rich in calories and essential amino acids they aid weight gain and help to promote top-line. The oil helps to encourage a shiny coat, whilst the highly digestible fibre and yeast help to maximize digestive efficiency. The Equerry mash is lower in starch than many mashes for horses that need to stay relaxed or minimise starch for other reasons. Mashes are also a godsend for horses that have difficulty swallowing or chewing, including veterans with dental problems or horses prone to choke. They are ideal for disguising unpalatable medicine or powdered supplements. Remember never to use water hotter than luke-warm or you will destroy all those helpful vitamins you have just paid for! From competition horses to youngsters just starting their ridden career, Equerry Conditioning Mash is a favourite for rider and producer Rachael Edgington. 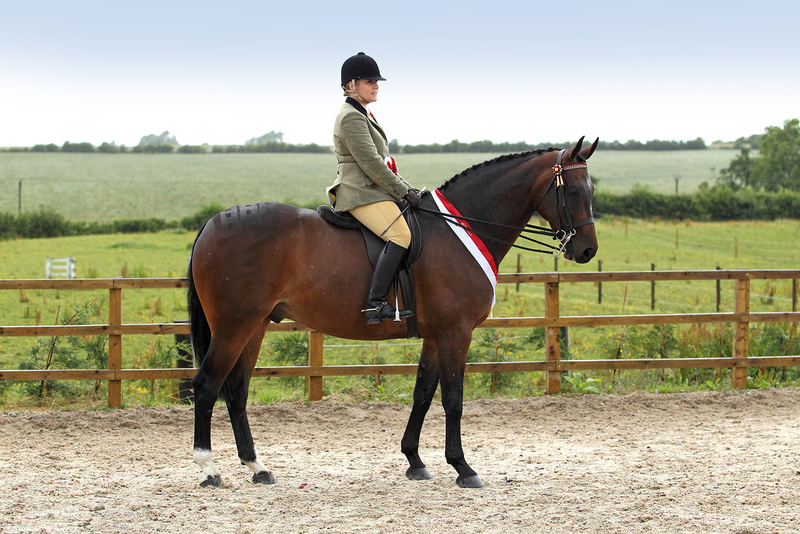 Working at the Roxlan Stud, owned by Rosemary Rainford, Rachael backs and produces their young competition horses. Said Rachel: “I have two competition horses in work at the moment and they are both sensitive horses who can be highly strung. They both hunt over the winter months and as you know horses can drop quite a bit of weight. “I found it hard to find a feed that would improve their condition without making them ‘fizzy’ until I started feeding Equerry Conditioning Mash. Since then I have never looked back. “My mare, Cassini Royale, held her weight over the winter throughout the hunting season and has kept her condition and topline. Rachael and her mare, Cassini Royale, have been on good form recently and have qualified for the National Hunter Trial Series at Eland Lodge after winning an open qualifier. Rachael added: “We also feed Equerry Conditioning Mash to the youngsters at the stud. Having been turned away at grass for the first three years of their life the youngsters often look lean with little muscle and topline and as they are slowly backed and brought into work they can often lose weight. Rachael is now looking forward to the rest of the season with her horses and between backing and training the youngsters at Roxlan Stud she is busy working towards her BE Coaching to become a freelance coach.